Highpoint Community Bank Smart Start savings account is designed for young people under the age of 18. With each account you open, your saver receives a piggy bank. This account is designed for those ages 16 to 25 with a current student ID. It offers all of the benefits of our Essential Checking Plan, however, the monthly fee is waived with eStatements. 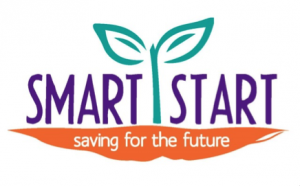 Smart Start members may transfer to a HCB Savings Account at any time. The monthly fee is waived until age 25 with a current student ID. The Highpoint Community Bank Scholarship is to award a high school senior accepted into a post-secondary education program in finance or a finance related field. To learn more about savings and financial education, explore these fun links! Highpoint Community Bank considers financial literacy an important part of our business. To request a Teach Children to Save classroom presentation, contact Nancy Goodin via e-mail or at 269-948-5579. *Please see our Highpoint Community Bank Customer Service Representative for details.